The aim of the X Factor, an American reality television show, is to find rising stars. TV viewers and the audience watch as musicians compete and show their musical talent on the stage, and the winner receives $5 million. Besides, some musical bands were created on the project, and they gained recognition and fame. 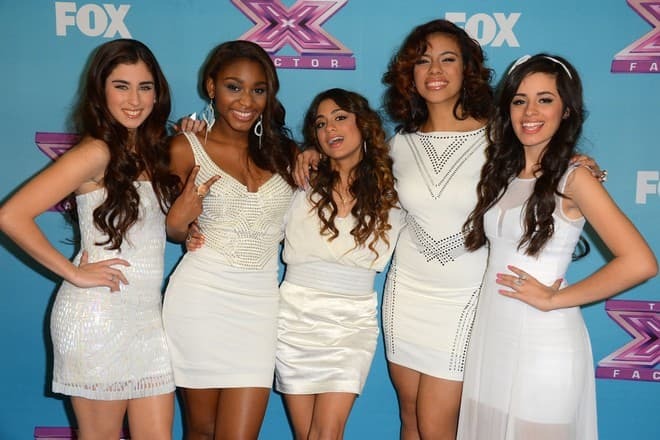 For example, the all-female band Fifth Harmony showed off in the second season of the show. American singer Camila Cabello, who managed to make a solo career, was also its member. The beautiful Cuban lady is known for such songs as "Bad Things," "Havana," "Never Be the Same Radio Edit," "She Loves Control" and others. Camila Cabello says kind words about her childhood. The girl was born on March 3, 1997, in the hot country of Cuba, in the largest resort city of Havana. Her parents are ordinary people. At first, father Alejandro worked as a car washer, then he ran his own organization, and mother Sinuhe was an architect. The future singer was brought up in the town of Cojímar, which is located near Havana. The area where Camila was growing, is located on the shores of the Gulf of Mexico, so residents were mostly engaged in fishing. It is noteworthy that the great American writer, Ernest Hemingway, lived in this town near the bay. The girl liked the works of the fellow villager and continuously took his adventure books, and sometimes she even visited Ernest's favorite cafe. Little Cabello lived in two countries and constantly moved with her family back and forth between Cuba and Mexico. So, her favorite books relieved her boredom during traveling. The reason for relocating was money because Camila's parents were born in different countries, so they had to look for work in their homelands. 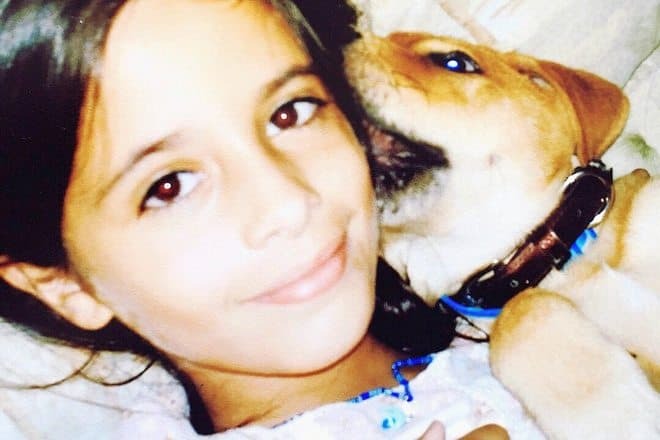 When Camila was six years old, she and her mother emigrated to America and lived with a friend in Miami, where Sinuhe worked as a shoe seller. Camila recalls this period as the most difficult in her life. The girl's father worked day and night to make a good living for the family who was abroad. Father Alejandro Cabello could move to his wife and daughter only a year and a half after separation. The girl could not speak English in the United States, but due to various television shows she quickly learned the foreign language, and then entered Miami Palmetto High School. Camila demonstrated her singing talent in early childhood. The girl delighted classmates and teachers with the high-pitched voice, and the Cuban-Mexican accent made her singing charming. The girl confessed that she first played Justin Bieber’s songs for guitar. It is worth mentioning that at school Cabello was a shy girl, but she did not refuse classmates’ requests to perform a song in front of the audience. Thus, Camila gradually overcame her stage fear for the sake of her favorite occupation, which later worked for her benefit. At age 13-14, Camila Cabello began to sing professionally. The girl was fascinated with it for several years. When she was in 9th grade, the girl left school to pursue her singing career. Camila dropped her studies to devote all free time to rehearsals. It seems that she was sure that she would undoubtedly achieve greater heights. 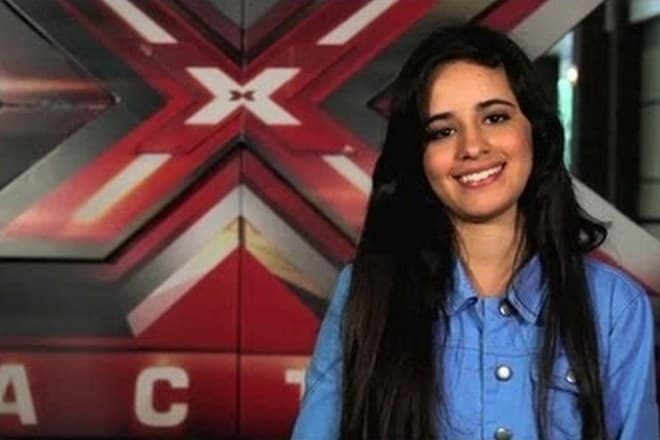 The American television show X Factor gave Camila a ticket to the world of show business. The participants got a chance not only to appear on TV but also to earn money to get the desired contract with the recording studio. The girl who in her childhood watched various TV shows where talented people competed, decided to try her fate. However, the Cuban could not audition for the first season of the show. The girl later said in an interview that she fell ill a few days before the start of the casting. Moreover, it was not an ordinary cold, which people treated with pills. Doctors prescribed her bed rest. Cabello chose health, knowing that she would have a chance to prove herself in the next try-out. Camila managed to participate in the second season of the X Factor, but the start was unsuccessful because her performance was not broadcast due to a violation of copyright law. But after a while, the producers decided to give the brunette a chance and offered her to become a member of the band Fifth Harmony. The girls soon finished in third place, and also signed a contract with Simon Cowell’s sound recording studio. The debut mini-album of the musical band was very popular and was sold a total of 28 000 copies. It is noteworthy that the album debuted at number six on the Billboard 200 chart. Besides, in 2013 Fifth Harmony went on Harmonize America Mall Tour around America and delighted fans with music videos. It is noteworthy that the all-female band performed the song "Better Together" on the red carpet of the American Music Awards. It happened in November 2013. Despite the popularity of the musical group, Camila decided to leave it. On December 18, 2016, the girl announced her departure from the band because the joint creative efforts prevented the singer from showing her personality. According to the foreign media, this decision was unexpected for the other girls. However, thanks to the decision to make her own way, she achieved greater heights. The beginning of the singer’s solo career was a duet with the musician Shawn Mendes. Their song was successful as the single "I Know What You Did Last Summer" charted at number 20 in the US, and was also certified platinum in three countries. Thanks to Camila's songs, Time magazine included her on "The 25 Most Influential Teens of 2016" list in December 2016. In March 2017, Cabello recorded the single "Hey Ma" with Pitbull and J Balvin. On May 19, the girl pleased fans with the song "Crying in the Club." Camila’s personal life is not a secret for her fans, because the girl communicates efficiently with journalists. The first boyfriend of the Cuban was Austin Harris. The girl kissed for the first time in her life. 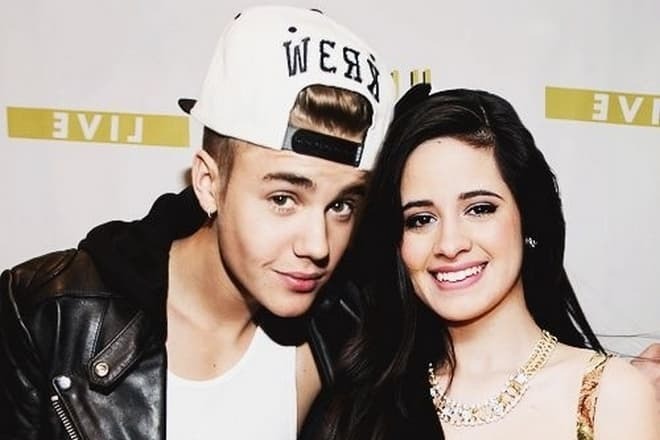 Camila wanted to announce their relationships, but her boyfriend did not want to make them public. Despite the lover's request, the singer could not keep her mouth shut, so Austin accused the girl of using him to sell albums. In the end, the couple broke up. After a short break, Camila and Harris once again began to communicate. However, nowadays they do not have romantic relations because they are just friends. 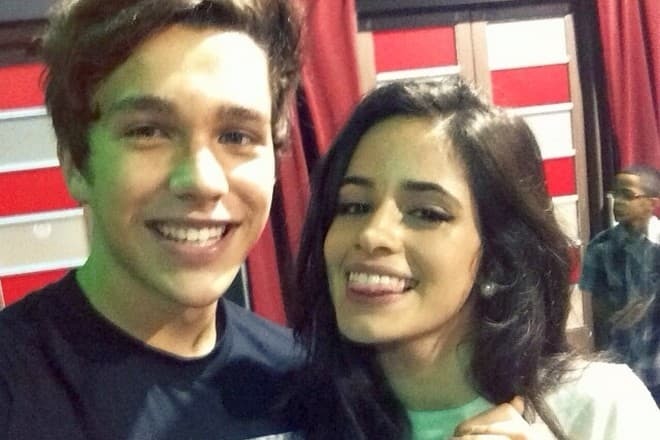 According to rumors, Michael Clifford became Cabello’s next boyfriend. No one knows what is happening in their personal lives because fans have found out about the romantic relationships thanks to the cracking of their accounts on social networks. It is known that Camila also adores bananas and Harry Potter. She is involved in charity work. 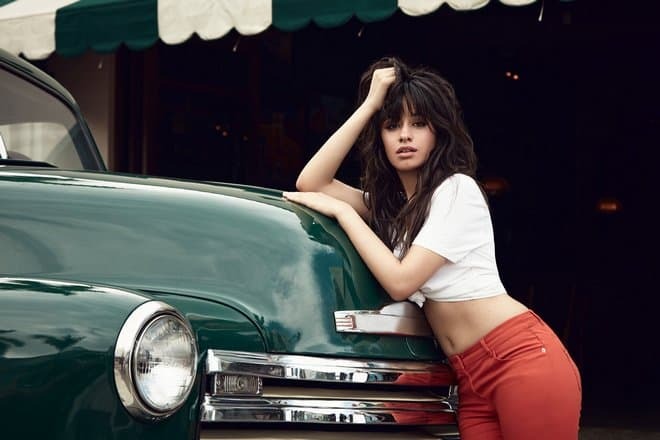 In 2018, the girl released a solo album, entitled Camila. Camila’s songs immediately topped the Billboard 200 chart. The album was sold a total of 65 thousand copies.